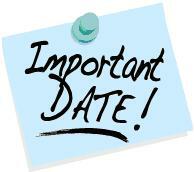 On Sunday, July 15th, the Apgar Family Association Board of Trustees had a special meeting by teleconference. As per the Association By-laws 4.8, A special meeting of the Board of Trustees shall be held whenever called at the request of any 3 trustees. Notice of the special meeting was made to all the trustees on July 1, 2018 by email and mailed via USPS to those without such an email account. This album was found in 2007 in an Adirondack Camp called the Owls Nest, which is located off 4 H road in North RIver, NY. The cabin was built in 1930. If this is your ancestor's, or you know who it belongs to, let one of the Trustees know so we can make sure it is returned to it's rightful owner. Read more about Are these your Ancestors? The video documenting the search for graves on the Apgar Homestead have been uploaded to YouTube. Be sure to check out our new YouTube channel: ApgarFamily. This video was shown at the 2008 Apgar Family Reunion. The following article concerning the graves appeared in our Summer 2006 newsletter. The "Apgar Homestead" is situated just south of the Town of Cokesbury in Hunterdon County, New Jersey. The remains of the immigrant patriarchs of the Apgar family were interred there more than two centuries ago. A mystery, until now, was exactly where they were buried. 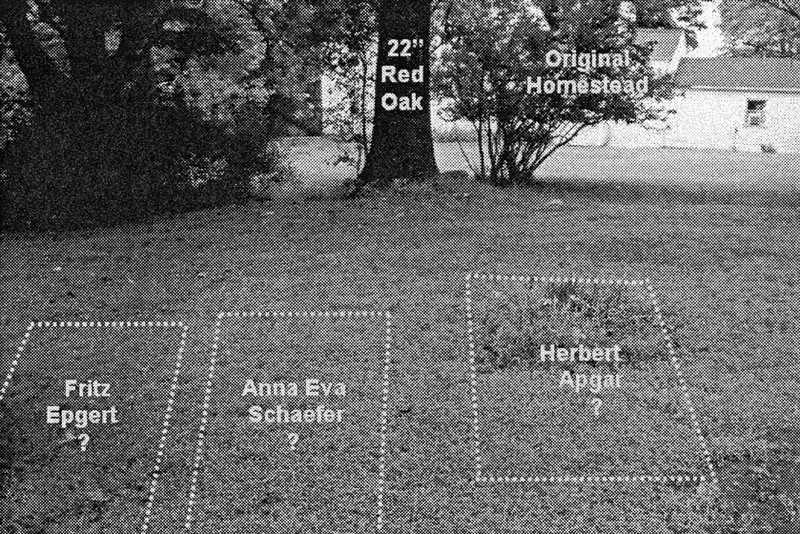 The current deed to the property on which the "Homestead" was built, includes a statement "excepting out of the premises above described one square rood, where Harbert Apgar, deceased, is buried." However, a further notation states that: "There is no physical evidence of a grave on Lot 1.02." In 2005, we arranged for a geophysical survey of the property and identified three graves. They are about 100 feet from the back of the homestead. Because of the arrangement of the graves and other family records, we believe that they are the final resting places of Fritz Epgert, his wife Anna Eva Schaefer, and his oldest son, Herbert. Arrangements to place permanent markers on the graves is being discussed with David Mills, the owner of the homestead.